You love hiking or trailrunning! There is nothing better than exploring stunning mountain ranges? Instagram is your tool to keep your friends updated about what’s going on in the great outdoors? 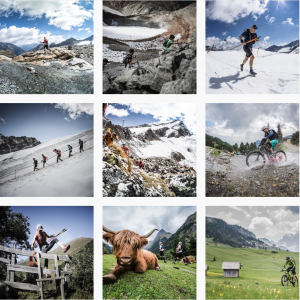 Become our Instagram Influencer, beat our SALOMON 4 TRAILS and share your experience! We are looking for two Instagram Influencer – one passionate about hiking – the other one loves to trailrun. Each of you shares all the experience made, before and during the event on your own Instagram account. The SALOMON 4 TRAILS takes place from 10 to 13 July 2019. We invite you to participate in the SALOMON 4 TRAILS from 10 to 13 July 2019. We provide you with the official starter package and the needed shuttle service. On-top you receive the SALOMON Agile 12 backpack and the SALOMON 4 TRAILS running shirt. We support you with helpful content ideas and every information needed. You share all the information you’d appreciate to know beforehand for your fellow participants and all the indecisive ones. 2 posts per week are important to show all your thoughts and stories during the preparation. From 10 to 13 July it’s race day! Now it’s on you to share live experience. Write a short blog after the event by drawing your final emotions. Be creative! Send us a short letter or a video until 1st of March 2019 via Email to carina.dietrich@planb-event.com. Please name your Instagram account. We can’t wait to hear why you are the right person to support us!